This new low profile support is constructed of 3mm think neoprene rubber and features an adjustable tapered front closure. 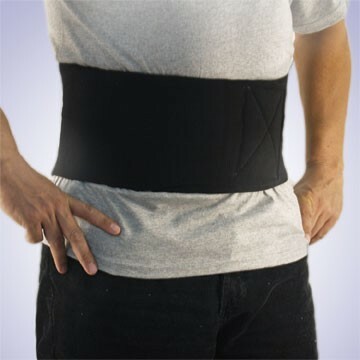 A full 9" in width, the support provides support and therapeutic warmth to the muscles of the low back. A lumbar pad concentrates additional warmth to this critical low back area. Flexible spiral side stays prevent brace "rollover." This low profile support is ideal for wear under clothes. Available in black N2 only. Two sizes: sm/md 25"-40" waist. lg/xl 42"-54" waist.